How Do I Change My Handgun Sights? Looking to change handgun sights? Cool! Upgrading your own gun is something of a past time among gun owners and one of the first items to get improved is almost always the sights. Are they hard to change? In most cases, not really; you only need a few hand tools and a work surface. Maybe a vise to hold the slide, though it isn't always 100 percent necessary. We'll go over the basic procedure, the requisite tools you'll need and a few things to look out for. 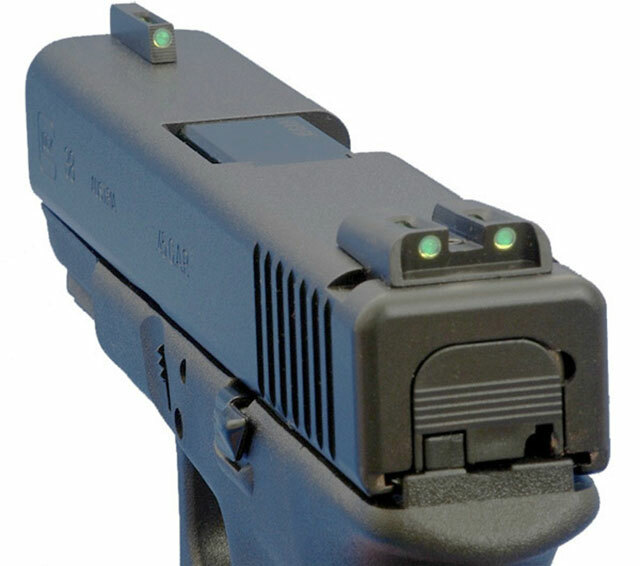 If you want to install some night sights or fiber optics and upgrade over those white dots, we'll show you how its done. Hold your horses, though - you need to make sure your gun doesn't have fixed sights before you do anything. You might already know it to be or not to be (that is the...nevermind) the case. If you know they aren't, then skip ahead! Don't worry about this part. We'll catch up in a bit here. If not, then we need to get it out of the way. Have a look at the front and rear sights. 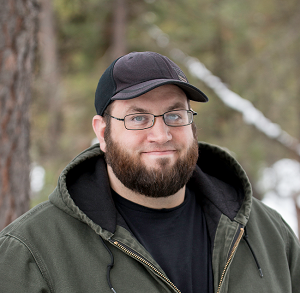 What you'll see if you do not have fixed sights is a notch cut in the frame, along with a metal dovetail. That dovetail is what your sights sit on. If your sights have these, you have adjustable sights and can move on to the next step. Is there a notch for the rear sight but not the front? That means you have a fixed front sight. At this point, you need to know whether the sights are staked or machined. Staked sights are mounted by means of a tenon that fits into a mortise joint, then gets peened (hit with a hammer and punch that flattens out the tenon and creates a strong hold) so the sight is held in place. These are common on older guns, such as vintage and vintage-pattern 1911 and Hi Power pistols, among others. They are very simple to change...but require some care to do it right. Some sights are soldered on. These are the easiest to remove. The latter however, requires machining. Unless you know to a certainty that you can make the requisite cuts, get this done by a professional. Now that we know what we're dealing with, let's dive in to the tools. So, to change your sights, you're going to need a few tools. Not too many, but you are going to need some. First you need a sight punch or two. There are specific drift punches and so forth for sights, so get the appropriate one for your gun. You can get brass, but nylon punches are non-marring, which will save cosmetic wear. You'll also need some gunsmithing files. While some sights are billed as "drop in," the fact is they are not. Minor fitting is required, though usually it's just a little filing and you're good to go. Some front sights are actually bolted to the slide. You'll see a bolt head on the underside of the frame. For this, you need a nut driver; you might be able to use a small socket (they're usually hexagonal bolts) but the best practice is to get the front sight removal tool for the purpose. A small mallet is also a must, with non-marring being a very good idea. For staked sights, you'll need a peening tool that flattens the tenon after insertion into the mortise joint. A vise is highly recommended though may not be necessary. Nylon vise jaws are a good idea, though you can tape off the jaws to prevent marring the frame. A set of hex keys (Allen wrenches) are also a must. You'll also want some thread locker. There are generic brands, but almost everyone just uses Loctite. Other good tools to have include a soldering iron and a Dremel tool. This is pretty much all a person could need for changing sights, besides a clean, flat workspace. Now that we have that out of the way, let's get to work. However, before you proceed...is your handgun zeroed? If your gun is shooting near perfectly but you just want more visibility, etc., make sure to mark sight positions as exactly as possible. This will mean less adjustment after installation. The first step is to loosen the bolt holding the sight in place when changing dovetailed sights. You may need to loosen Loctite or threadlocker, which is where the soldering iron comes in. If a formula of threadlocker requiring heat to remove has been applied, you hold the soldering iron to the bolt for a few minutes until the threadlocker liquifies, then loosen the bolt using a hex key. It helps to have the slide in a vise, though you get the sight out without one by turn the slide on its side and firmly holding it down. Drift the sight out using the sight punch. Then take a minute or two to clean up the sight channel with mineral spirits, alcohol or some sort of solvent that won't impact the finish. 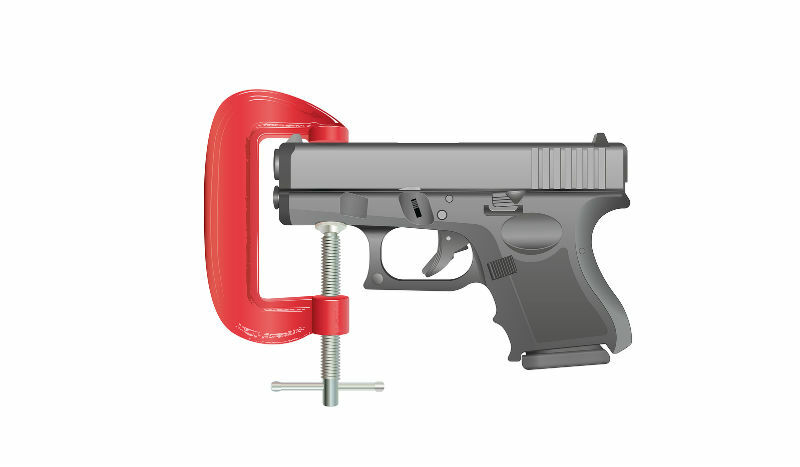 Retain the hex bolt should it be needed to anchor the new sights. 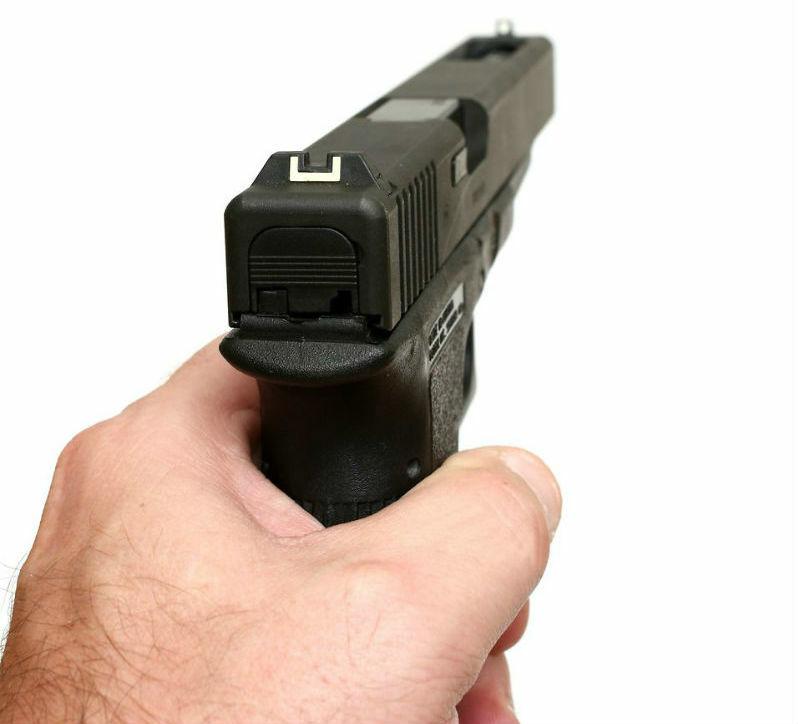 If both sights are dovetailed, do this for the front handgun sight and the rear. To install the new sight, check the dovetail of the replacement sight and compare it to the dovetail channel on the slide. You'll probably find it's slightly off. At this point, you'll know where to file and take a little metal off to get a good fit. Start filing, but be sure not to take off too much. You want a tight, precise fit. After all, you don't want your sights to move with the vibration caused by shooting. You should have just enough play to start the sight, just enough to get it seated by a millimeter or less. It should require a punch from then on in. Use little taps until you have it in the correct position. Once installed and aligned, you'll want to sight in your pistol. As far as threadlocker is concerned, you should apply those formulas that don't require heat to remove and in truth, you should wait until after you've sighted the pistol in to apply it. That said, that's the basic installation process. Fixed handgun sights are actually easier to replace, depending on what type they are. Granted, there's a lot of choice these days; you can replace those little iron nubs with night sights, fiber optics, whatever you want. NOTA BENE - you need to make sure your sights are aligned before completely fastening them. 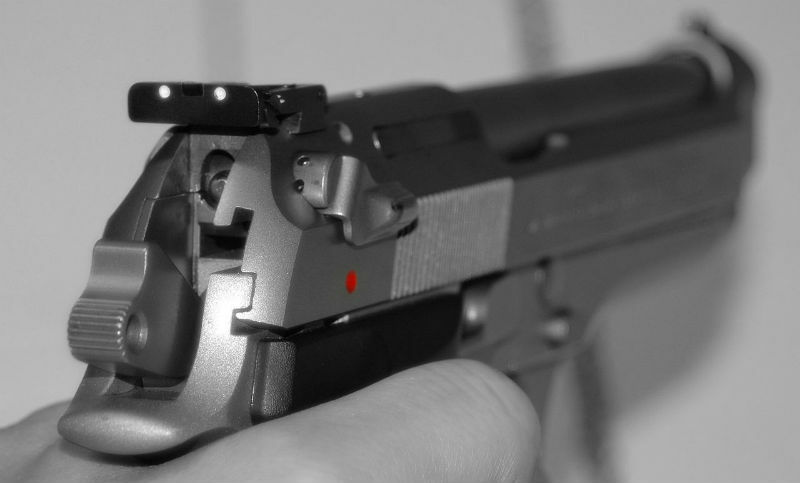 Fixed sights are not adjustable once fastened, so make sure that you mark the correct position for alignment if necessary. It needs to be right BEFORE it's too late to fix. For soldered sights, you have two methods. First is to grab the sights with pliers and break them off, then use a soldering iron to remove the old solder. Apply new solder and install new sights. Alternately, you use the iron to remove the old solder and take off the sight without breaking it, then just install the new sight and resolder. For machined sights, send it to a competent gunsmith and preferably one that can machine sight cuts. Dovetails need to cut into the frame and you do not want an amateur doing it. Unless you happen to be a machinist and have a mill in your garage or shop; then you go ahead because you know what you're doing. Staked sights are easy. Under the slide, a tenon has been peened on the underside of the mortise joint, holding the sight in place. The easy method is to twist off the top of the sight with pliers, taking care to not mar the finish. Then you gently poke out the remains of the tenon with a punch. At most, you may need a dremel tool to grind a few bits of peened tenon away. Clean up the mortise joint with a non-marring cleaning solvent and let dry. To install the new sight, you set the tenon through the mortise joint and you'll want to tightly tape the sight down and/or apply a retaining compound (Loctite also makes some) to keep it place and fill up space in the mortise. After the retaining compound has set, flip the slide on its back. You'll need a peening tool to perform the last part, which has a ball peen on the end - just like a ball peen hammer - to flatten the tenon out. Hitting the peening tool with a mallet pounds out the tenon and flattens it, securing the sight to the slide. And that's it. Though not adjustable, these sights are easier to work with. Though the process isn't exactly rocket surgery for any type of sight, take the gun to a gunsmith if it seems beyond your ken. You'll likely be very happy with the results if you don't feel up to it. Night Sights vs Fiber Optics: Which Is Better For My Carry Gun? 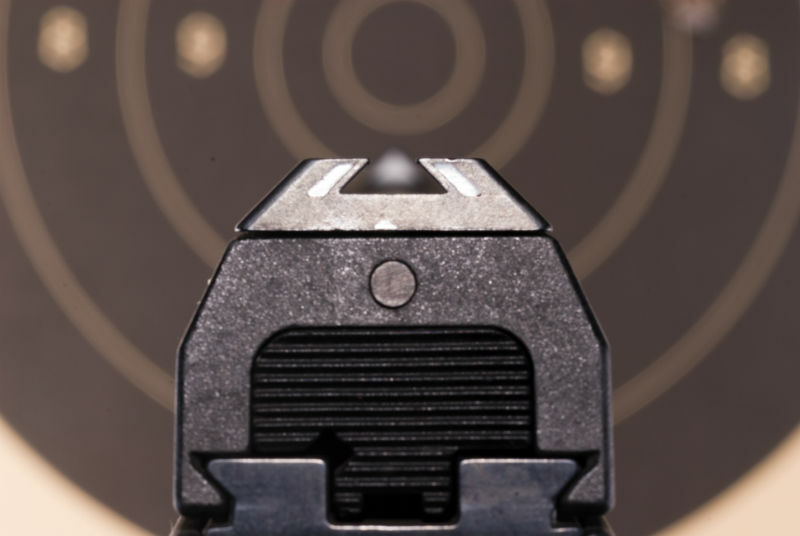 Which Is Better: 2 Dot Or 3 Dot Handgun Sights?